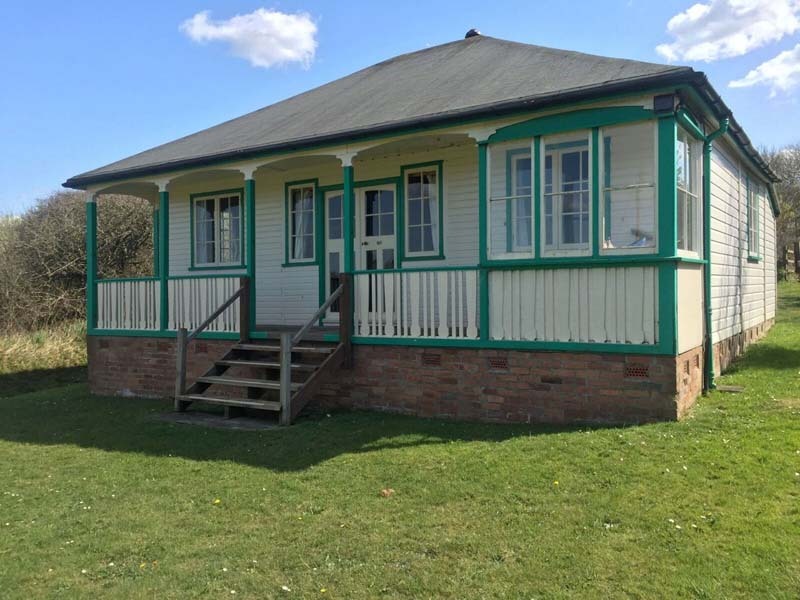 At the 1930s Cricket Pavilion, there are three bedrooms: one double with a washbasin, and two twin rooms. A single Z bed is also available. There is a bathroom and a separate toilet. The kitchen is small but well equipped, with a full size cooker and washing machine. The L-shaped living area has a sitting area and a dining area equipped for six people. There is a supply of board games. The veranda is a lovely sheltered place to sit outside and at night it is dark enough to see the stars. The Pavilion is the last property along a narrow private road. At the end of the garden and on one side there are neighbours, and the other two sides are open. This has been our family holiday home since 1941 and we would now like to share it. 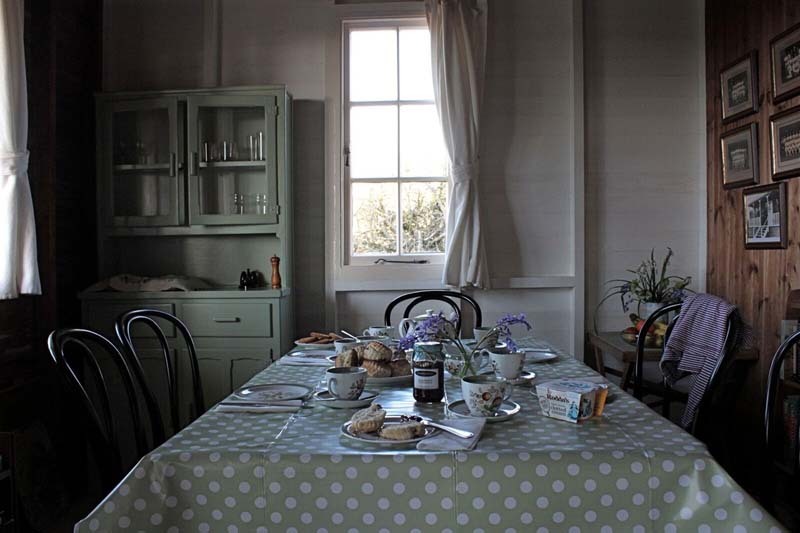 A short drive away at Morwenstow is Rectory Farm, one of the best tea shops in the country. The Eden Project and The Lost Gardens of Heligan are an easy day out. There are surfing lessons available locally, tennis courts, bowling and a swimming pool. If you do not want to shop as soon as you arrive, it is now possible to order online from Waitrose at Holsworthy and have your shopping delivered. Freshly baked goods and freshly caught fish are available at the local shop, a ten-minute walk away. 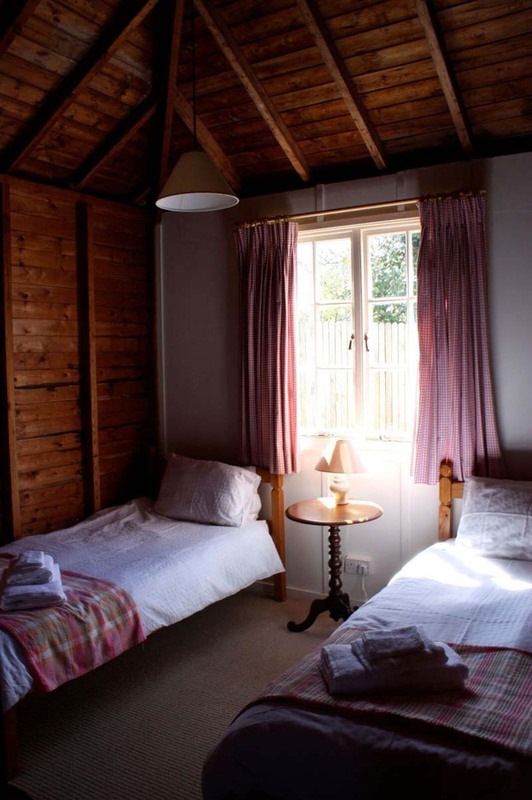 Each bed has a duvet, pillows and a blanket and linen is provided. When you arrive the Pavilion will be clean and there will be a welcome tray awaiting you. Newly added is a wood burning stove in the lounge and a dishwasher in the kitchen. 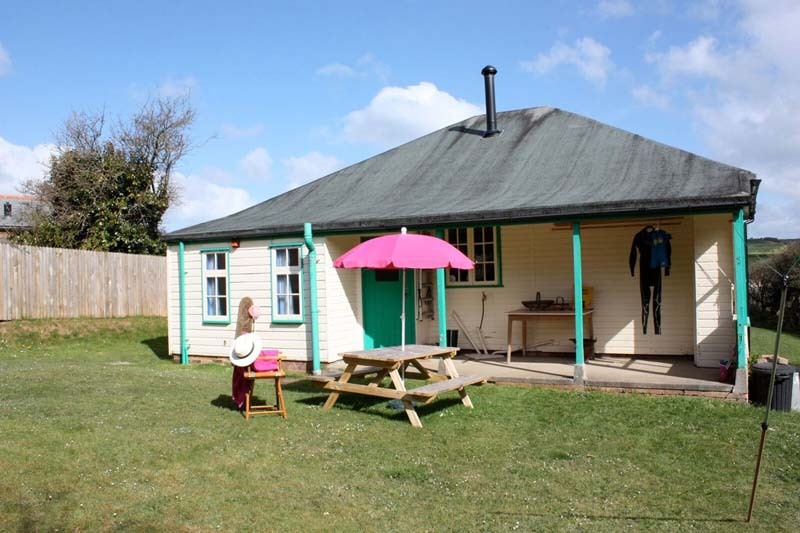 “We feel so fortunate that we have been able to give our girls such wonderful holidays over the years, staying at The Cricket Pavilion, next to Widemouth Bay. They have so many memories to treasure – just simple family time together, the place has such a special charm which instantly relaxes us as soon as we arrive. The lack of TV, telephones, WiFi etc we always see as a definite bonus. The grassy space around the cricket pavilion has always been a delight for our active children to run and play around – badminton & rounders and a bit of boule for good measure. Days spent having lazy late breakfasts then a 5 minute walk to Widemouth beach for endless rock pooling, attempts at bodyboarding and the popular family pastime of burying each other in the sand, pasties and ice creams for lunch followed by a sundowner up the road at the pub. We were very glad of the addition of the washing machine to cut down on the mountain of grubby clothes we would otherwise return home with. 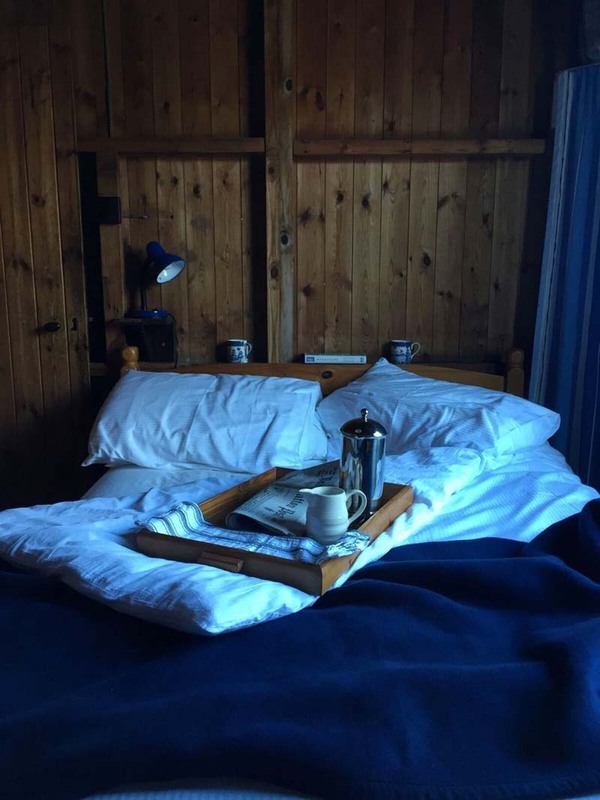 We always sleep so well there, a combination if fresh air, comfy beds and lots of wine. We love barbequing outside the kitchen in the shelter of the pavilion and sitting on the veranda watching the weather. Seven people in a double and two twin bedrooms. Z Bed available. Widemouth Bay, 3 miles from Bude town centre. 10 minute walk from Widemouth Bay beach.